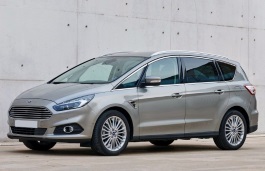 Correct Wheel Sizes, PCD, Offset, Rims and Tire specs for Ford S-MAX series. Hi,Keith,You can take 18 inch. Im buying a new Smax 2015 model Titanium and want to buy winter tyres for it . Don't know where to start with tyre sizes ........ Can you help please ? Hi,Sue D,Can you show me your wheel size? Hi I have a 2008 ford smax lx. Can I put wheels off any other ford on it. Been told Mondeo and cmax fit. But what about focus ones? Hi. 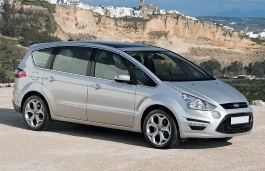 I have ford S-max, from 2009. The original wheels on car are 5x108/16/6,5 J/ET50 with tyres 215/60/16. Can I put wheels 5x108/16/7J/ET32? Hi,Martin Atanasov,No,They have big difference offset(ET),These two wheels are not compatible. I have a 59 plate S-Max with 18" wheels. I want to put a set of 18" from a 56 Mondeo on. Will they fit? 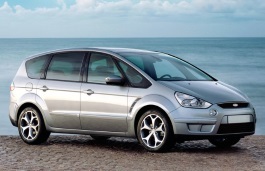 Hi, can i use rim for ford s-max from volvo s80 same measurements just ET is 50 . Ford wants 55 for J7 R17.